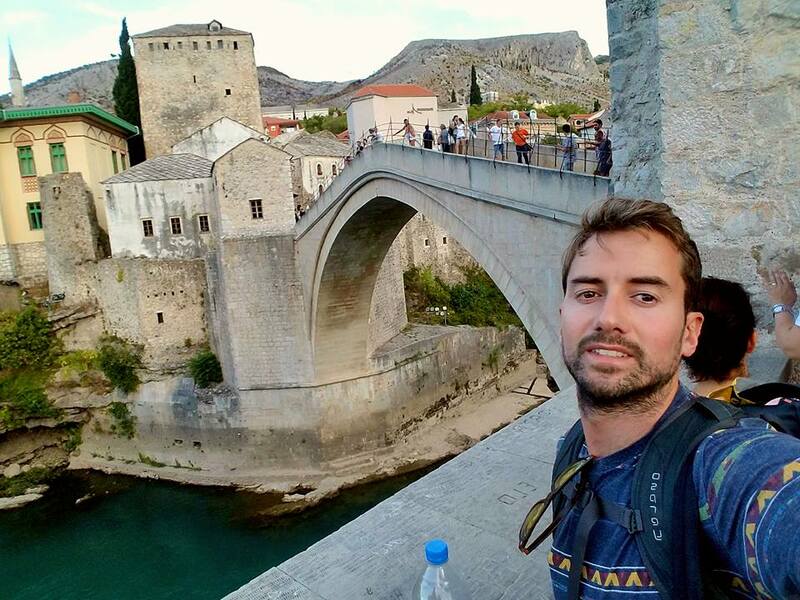 Moving my Europe adventure into the into the Balkans, my first stop was Mostar, Bolivia where I explored the divided city, seeing the iconic Stari Most (16th century Ottoman Bridge, below). We went on an incredible tour that took us into, Yugoslavian secretary general, Josip Tito’s underground secret airbase. The underground lair could fit 52 jet planes under the mountain - which he somehow construcyws without the local knowing… we could have fit a few mini tennis nets into that space (below). Onto the capital city, Sarajevo, the toll of the Balkan war could really be seen, with scattered Sarajevo Rose’s all over the streets (below). These roses are where mortar explosion marks have been filled in red, signifying where one or more people died in the result of the mortar shell. Sarajevo was under siege from the Army of Republika Srpska 1992-1996. A siege that took the lives of many and left the locals stuck in dire conditions for the prolong period. I was lucky enough to get a tour from local Haris Hadziselimovic who took me to the sight of his 50/50 run across the UN airport runway in late 1992 at 14 years old. It was at this gate (above) where he ran the gauntlet across the UN base to escape the Seige, only having a 50/50 chance of making it across alive. Many of his friends were not so lucky. I could see the emotion in his eyes as he described the conditions and the desperate times that led him to attempt such a crazy dash-and-run. Once he made it across the boarder he eventually ended up in Sweden, where he spent the next few years before returning once safe to do so. He agreed to have a hit with our mini tennis net in the location that meant so much to him. Particularly when he found out that we would be able to send a tennis equipment pack onto a local primary school. He happily agreed to be one of our ambassadors, to ensure the kit gets to the local primary school he used to attend and allow the local children to benefit from the sport. Hopefully they will never having to go through anything like what Basis had to as a child. 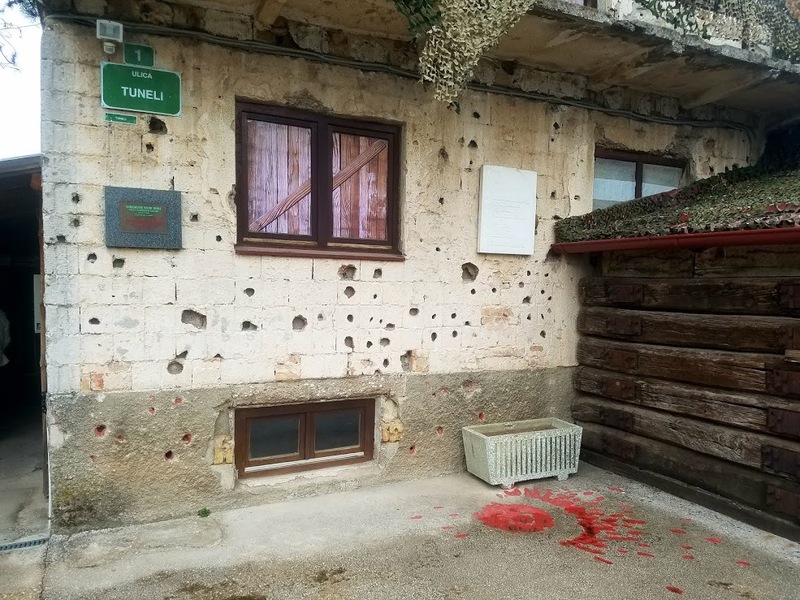 It was also at this site that the Bosniacs built the ‘'tunnel of hope' in 1993 underneath the airport to receive vital supplies from outside the enemy lines (above). This was one of the reasons the people managed to survive for so long under seige. Haris took me to one of his favourite view points at the top of the hill which is technically crossing into Republika Srpska - where the Bosnian Serbs control a federation within Bosnia - and where local taxi drivers must take of their taxi signs as cannot operate across the invisible boarder. This location is where the 1984 Winter Olympic bobsleigh track was built… I couldn’t resist sending a few serves down the gauntlet (below). Haris’ story was harrowing, and there were many many more like him. This inspired me to learn more. 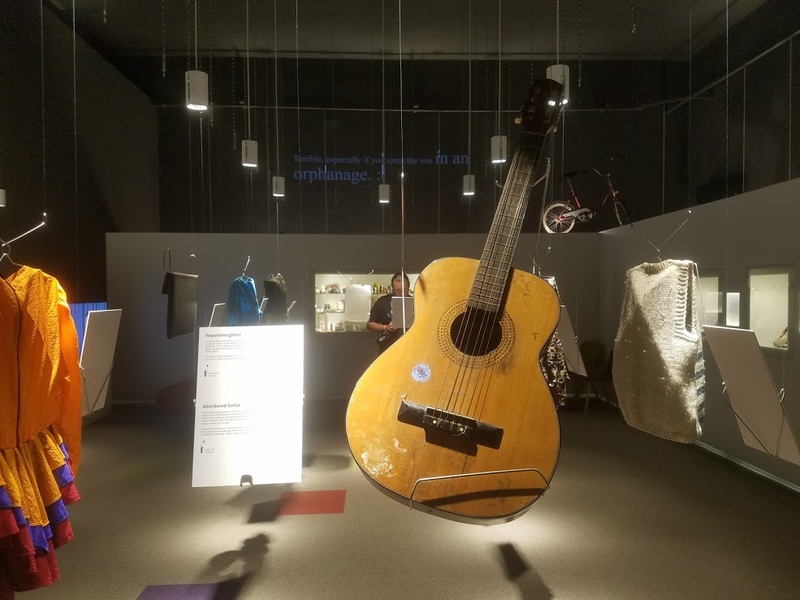 So I visited the Childhood War Museum where they exhibit objects from children who lived through that time, with accompanying stories to the items. The objects signify a window into what life was like for children during the Siege (below). Many of the stories involved loss of family and friends - it was a heavy afternoon of reading. I stopped to read each reminiscing paragraph, some more harrowing than others, but all depicting the difficulties the children went through in that period. It was incredible how they stuck together and adapted as a community..
To see the local children playing outside the museum on their scooters and running about (above) showed how far they have already come. Hopefully the tennis pack shipped out by Zsig Sports will bring some more fun to the local school playgrounds. Bosnia and Herzegovina. What an experience. Some of the nicest, most resilient people I have ever met. I would encourage anyone who hasn't, to visit the country and absorb what you can.